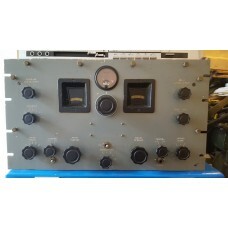 This is the military version of the SP200 Hammurland Receiver. The design was pre-WW2, but the receiver was manufactered well in to WW2, being used for a range of roles including diversity. This one has been modified internally with the additional of 240V Power Supply. The receiver has some life and powers up, noise can be heard. It is sold as a restoration project, these receivers are quite rare. Please feel free to contact us for further pictures and details.